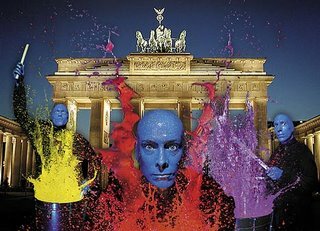 >This time next week I will be sitting on a train to Amsterdam for the final callbacks with Blue Man Group… I am really looking forward to this as the last audition itself was so much fun. And also having met them again at The Big Chill and seeing their production in London recently makes it all the more exciting…. so check back soon!